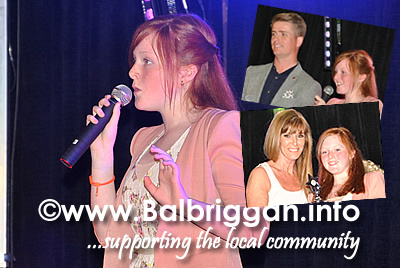 » Balbriggan’s Got Talent 2014 – The Final! 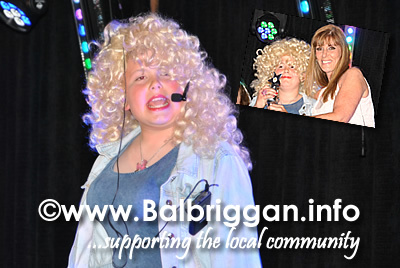 Balbriggan’s Got Talent 2014 – The Final! 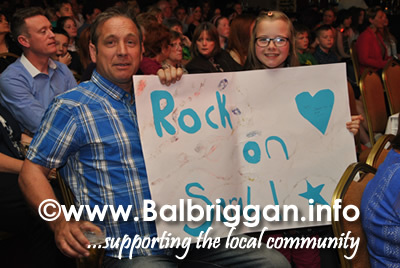 The atmosphere was electric as twelve fantastic acts took to the stage last night for the final of Balbriggan’s Got Talent. 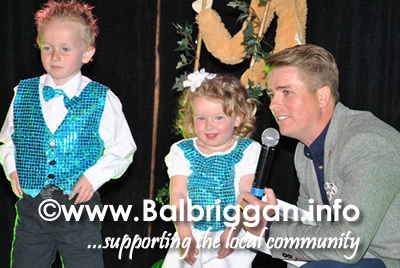 MC Brian Ormond did a great a great job of hosting the show and making the contestants feel as ease on stage. 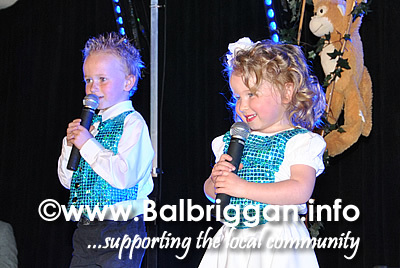 Judges Linda Martin, Mark McInerney and Brian Howard had a hard job of choosing three top acts who would take to the stage and perform once again for the audience’s vote. 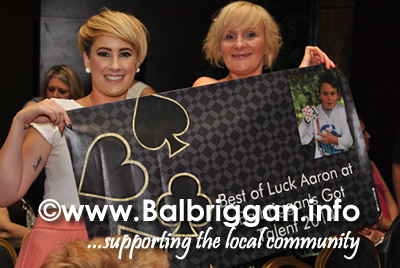 The audience cast their votes and Joshua Russillo was crowned winner of Balbriggan’s Got Talent 2014. 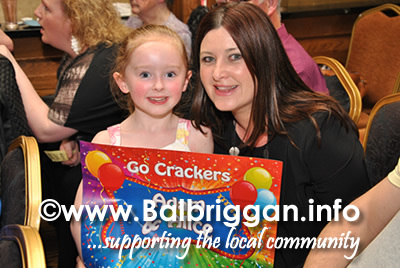 The very talented and lovely Eva Campbell was runner up on the night and we are sure to be seeing more of this talented young singer in the future. Josh was presented with the Susan Garvey memorial trophy by Susan’s sister Mary, a very special award as Josh is Susan’s son! 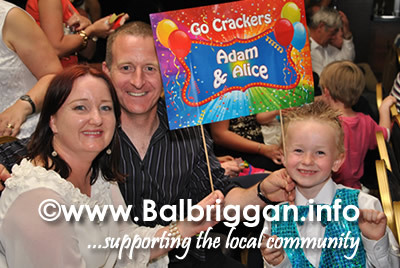 Congratulations to all of the acts for a fantastic night and to the Balbriggan Summerfest Committee on another great weekend of fun and entertainment!